Women’s rights advocate Prashanti Tiwari was distraught after a series of encounters with Diego Palacios, who heads the United Nations Population Fund (UNFPA) in India and Bhutan. When she went to the police to report that he had sexually assaulted her, UNFPA immediately began to do everything in its power to prevent a proper criminal investigation. The UN agency devoted to sexual and reproductive health and rights fraudulently invoked UN immunity to shield Palacios from Indian authorities, and illicitly asserted that Ms. Tiwari would have to cooperate with a UN internal administrative investigation as a prerequisite to any criminal police investigation. Late Friday, August 10, UNFPA sent Ms. Tiwari a report detailing the findings of that internal UN investigation. The report provides incontrovertible evidence that UNFPA, with the knowledge and support of senior UN officials, is in the throes of a concerted effort to block criminal justice. Background: In March 2017, Prashanti Tiwari was a 29-year-old women’s rights expert employed by an NGO that conducted projects as a UNFPA “implementing partner” in Bihar. Over two days while the UNFPA Representative to India was visiting the area, Ms. Tiwari says that he, Diego Palacios, leered at her, made sexual comments, suggested that she engage in sexual relations with him in exchange for professional advancement, touched her in inappropriate ways, and, ultimately, groped her breast in a manner that falls under the Indian definition of criminal sexual assault. Four witnesses told UN investigators that Ms. Tiwari was in tears following the alleged assault, which occurred in a hotel elevator. She was “crying bitterly,” one of them said. Ms. Tiwari, who has won awards for her advocacy, didn’t immediately report the incident because of concerns about losing her livelihood, worries about impeding the work of her NGO, and weariness with the justice system following a painful divorce from an abusive husband. But she decided to act after a change in her contract meant she would work directly under the supervision of Palacios, who would be free to continue his alleged behavior. On February 2, 2018, Ms. Tiwari wrote to the Indian government’s Ministry of External Affairs and asked that the “privileges and immunities” that Palacios enjoyed as a UN official be lifted in order for a criminal proceeding to commence. On February 21, she went to the local police in Patna, India, and filed a criminal complaint against Palacios with the expectation that justice would be served. But the United Nations stood in her way. Like most UN officials, Palacios has “functional immunity,” meaning he only has immunity for the things he says or does as part of his official UN functions. Sexual crimes can never be part of official UN functions. “If you have functional immunity and you commit a crime, it is clearly not part of your function, so the issue of immunity does not arise,” said Stéphane Dujarric, Spokesman for the Secretary-General of the United Nations, at a press briefing on February 20, 2018, in answer to a specific question posed about this particular case. We know from our extensive research that the Secretary-General must formally confirm to State authorities that immunity does not apply. But rather than refer the issue of immunity to the Secretary-General, on that same date, February 20, UNFPA wrote to India’s Ministry of External Affairs and asserted immunity of the accused. The police investigation never got off the ground. Four days later, UNFPA posted a public denial of Ms. Tiwari’s allegations. Shockingly, Palacios, as the leading UNFPA figure in India, was responsible for authorizing or approving both of these official UNFPA statements. These were not furtive actions by the accused. On February 14, Palacios was already communicating with the UN’s top official in India, the Resident Coordinator, Yuri Afanasiev, who asked to meet Ms. Tiwari later that month. On February 18, Palacios was in communication with the Legal Unit of UNFPA at headquarters. Nobody stepped in to object that the accused was rubber-stamping the official response of UNFPA. The February 20 letter from UNFPA asserted that legal recourse was not available to Ms. Tiwari, but that she could submit to a UN investigation instead. There was a clear attempt to keep the matter internal, and well under UN control. Ms. Tiwari kept pursuing her case. She pleaded with the Ministry of External Affairs, sending in documentation and evidence, until the Ministry once again wrote to UNFPA to request that UNFPA staff, who were potential witnesses, cooperate with the police investigation. Once again, UNFPA wrote back, this time asserting the immunity of its staff. Few people are aware that the UN has the power to prevent any UN personnel, even the most minor of witnesses, from speaking to legal authorities. It is also not widely known that the UN has no legal authority to investigate crimes. As a consequence of the UN’s interventions, the police investigation remained stalled while the UNFPA’s internal investigation arm – the Office of Audit and Investigation Services (OAIS) – commenced an administrative investigation into the acts committed by Palacios. Ms. Tiwari did not request this UN investigation; she did not file a complaint form with the UN. However, OAIS investigators took it upon themselves to send Palacios a copy of her police complaint and her letters to the Ministry and asked him to comment. The OAIS investigation was opened without clear authority. OAIS used as the basis of its investigation an internal policy concerning sexual harassment by UNFPA staff members against other UNFPA staff members. UNFPA has no policy governing actions to be taken when a non-UN employee of an “implementing partner,” or a contractor such as Ms. Tiwari, is sexually assaulted and harassed by a UNFPA employee. A policy meant to apply only to staff contains few or no provisions to protect the rights of external persons who fall victim to UNFPA staff. The UN’s investigation afforded due process rights to Palacios, a UN employee, but afforded no similar rights to Ms. Tiwari, who was a UN contractor. The Spokesman of the Secretary-General noted that Ms. Tiwari “has never been employed by UNFPA. Nevertheless her claims will like any others be looked into according to UNFPA policies and procedures.” This statement gives the impression that the UN was making a concession – granting a boon – by opening this internal investigation. In reality, UNFPA had purposely derailed the criminal case in order to take control of evidence, witnesses, and its public image. We are not surprised. Such biased conclusions in favor of personnel accused of “sexual misconduct” follow a well-worn UN pattern. This investigation was riddled with inconsistencies, bizarre standards of proof, and retrograde analysis of evidence. But these faults are inherent in all the UN’s internal, bureaucratic investigations of sexual harassment and abuse committed by its personnel. It is the UN’s standard practice to insert itself into a criminal process, commencing its own investigation in order to pre-empt and stall a genuine investigation by police authorities. OAIS admits in the report that it did not have access or authority to interview several witnesses who are pertinent to this case. 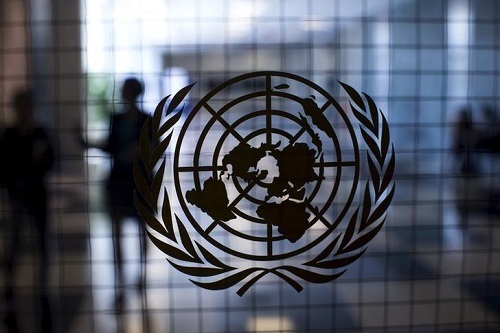 Unlike police investigations, UN investigations can only compel UN staff members to cooperate, and only under pain of job termination or administrative discipline. Most of the “witnesses” – more than two-thirds of the total 27 – are UN staff, consultants or partners working with UNFPA’s contractors. All work under the authority of the accused, Mr. Palacios, and knew that their statements would be shared with him. Although the facts and witness statements confirmed or substantiated nearly all of Ms. Tiwari’s circumstantial evidence, OAIS was able to designate her credible claims “unsubstantiated” by applying a “clear and convincing evidence” standard of proof. This legal standard of proof is difficult to meet under most circumstances and completely unreasonable for administrative investigations under all circumstances. The normal standard used in most non-UN workplaces is substantially lower. The unreasonable “clear and convincing evidence” standard was eclipsed by an even more bizarre standard: Although Ms. Tiwari alleged that Palacios spoke in lewd, sexually suggestive, and inappropriate ways to her and touched and groped her – all actions that were carried out either surreptitiously in the presence of others or when the two were standing apart from others – UNFPA investigators consistently rejected her allegations because of the lack of eyewitness testimony. It should be noted that UNFPA touts its expertise in ending discrimination and violence against women and girls. UNFPA is well aware that overwhelmingly, and more than in any other crimes, sexual offenses are committed when perpetrators feel certain that no eyewitnesses are watching. OAIS investigators took great pains to protect Palacios. Inconsistencies, and instances in which the accused was less than truthful to investigators, are in evidence throughout the report. Palacios initially said he only met Ms. Tiwari once. He later changed his story, conceding that he met Ms. Tiwari on more than one occasion. OAIS notes that Palacios had gathered detailed information on his whereabouts on a number of the occasions at issue but withheld the information from investigators. Although Ms. Tiwari alleged in her complaint to the Patna police that Palacios committed sexual assault, UNFPA effectively downgraded her complaint; OAIS’s investigation is only concerned with the less serious, non-criminal offense of sexual harassment. We are profoundly disturbed by the UN’s behavior in the Prashanti Tiwari case. UNFPA flouted its obligation to address immunity through the proper channels. It should have requested a determination from the Secretary-General that immunity didn’t apply to the potentially criminal acts committed by Palacios. Instead, UNFPA launched a campaign of cover-up in the form of a grand distraction — an “investigation” by UNFPA colleagues of Palacios. The OAIS investigators have no authority to investigate criminal matters, no legal rights, and little means of access to pursue determinative evidence. They applied retrograde standards of proof and made only cursory attempts to establish patterns, which are called for in harassment and assault cases. They came to a conclusion with no legitimate bearing on the legal claims and criminal investigation that are still open. UNFPA did so with the full understanding that its conclusion is bound to prejudice the claimant’s continued pursuit of real justice. The sovereign state of India, where the alleged crime occurred, holds the power to pursue justice for its citizens. The Government of India can and should demand that the UN and UNFPA fully cooperate with police in accordance with the rule of law, and that the United Nations organization stop obstructing police access to confidential interviews with the accused and with witnesses. The bogus internal investigation conducted by OAIS with the blessing of the UN Secretariat has no relevance in this criminal matter. The onus falls on the Secretary-General to certify that immunity does not apply for Diego Palacios in this criminal sexual assault case, and to waive the immunity of the key UN witnesses and relevant materials so that police can conduct interviews under proper police procedures. Next post Free Press: With or without a free rein?